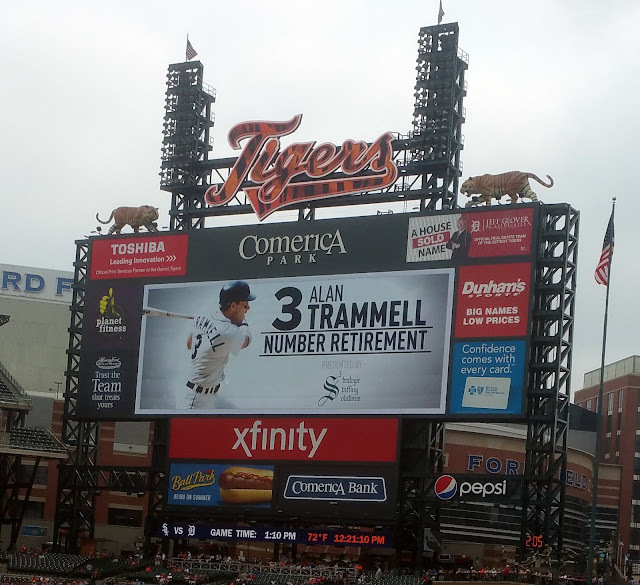 I enjoyed one of my best blogger meet-ups yet a few Sundays ago when I joined Paul from Scribbled Ink and the eponymous John of John's Big League Baseball Blog in attending Alan Trammell's number retirement ceremony on August 26. I'll pretty much defer to Paul's outstanding pictures from our seats in the Kaline's Corner section of right field, but I snapped a few shots myself. 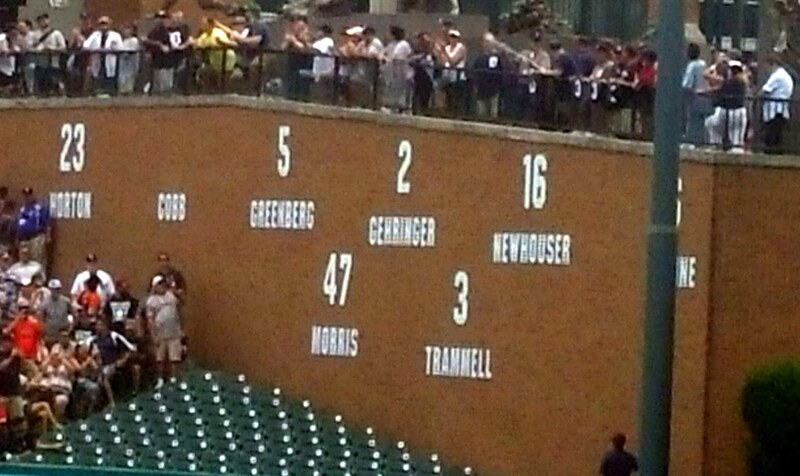 This was the scoreboard as we waited for things to begin. The "72 degrees" temperature was wildly inaccurate considering the muggy weather, but it didn't stop us from having a great time. Tram joined Morris, who'd enjoyed the same honor earlier in the month. Unfortunately Paul and I arrived just a hair too late to snag the promotional giveaway jersey--it was like Black Friday up in there--but the occasion was enough by itself for us to have a great time. The speeches by Lou Whitaker and Trammell himself were great and really highlighted why they continue to be revered a couple decades after retiring. The game itself was pretty typical for 2018. Overpriced flop Jordan Zimmermann continued his reign of terror, putting the game practically out of reach for the stalled offense by allowing five runs, including a two-run shot a handful of rows behind us. And at-that-time uninjured future star Michael Kopech showed why he was so highly regarded, stymieing Detroit's hitters for six solid innings. Fortunately Detroit kept it somewhat interesting by loading the bases a couple times, even if they couldn't capitalize. A particular highlight for us was a ninth inning HR by SS Ronny Rodriguez that barely eluded our section and went into the tunnel, where it was hoarded by staff working down there. 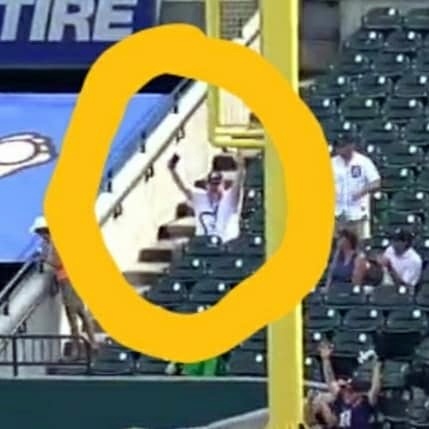 John and Paul are clearly visible in the video replay while I'm obscured by the foul pole (which is fine--I got some screen time a while back thanks to a Rajai Davis walk-off slam!). John's the circled guy while Paul is the dude wearing the Detroit jersey. So all in all it was a great time and I think we're all itching to do this again next year, maybe even with others involved. It's the namesakersons! 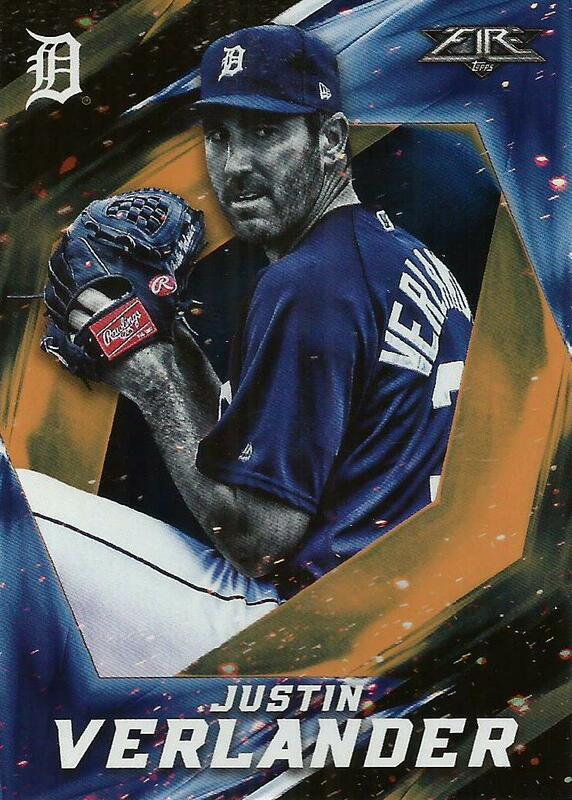 Grandy is from the '07 Topps Generation Now insert set I'm chasing while JV is an Orange parallel (#189/299) from 2017 Topps Fire. PC guy Rich Hill had just bested fellow PC guy Clayton Richard a couple days before this game so it was fun to see an autograph of the former pop up here. 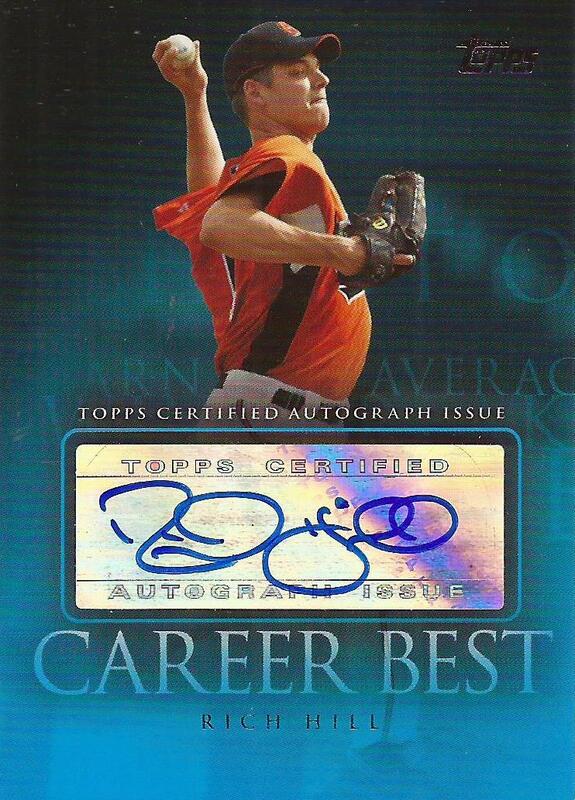 As with the rest of his cards produced in 2009 he appears as a member of the Orioles on this Topps Career Best auto. That came out a year before his first tour of duty with the Red Sox, after which he bounced around between LA, New York, and indy ball. Things turned around from there and the rest is history! 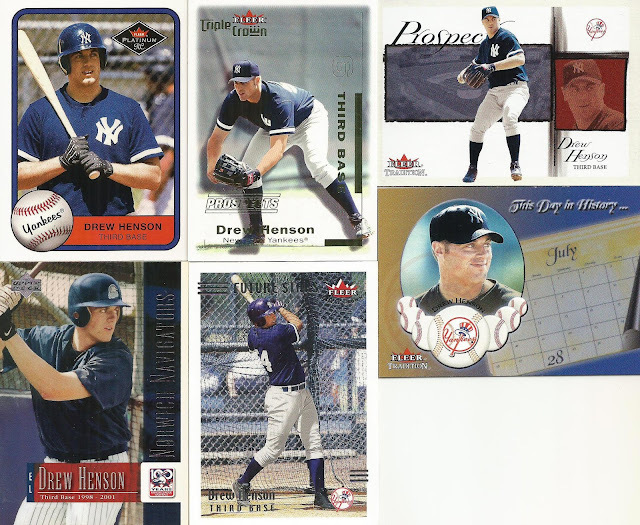 Dual-sport star Drew Henson was the surprise star of the package thanks to these six cards. The RC from 2001 Fleer Platinum plus the Fleer Tradition This Day in History insert from the following year were both new to me, with the latter joining up nicely with the autographed version I own. 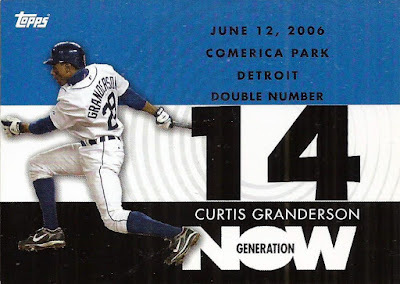 The others are quite nice as well, including the Triple Crown RC which is numbered /2999. I shouldn't be too surprised a local guy like Paul came up with these for me, though! 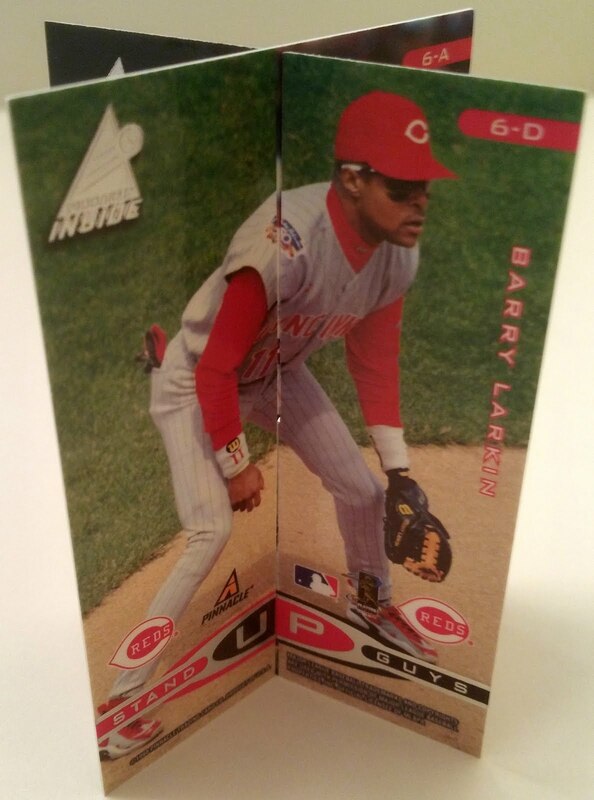 This product's can packaging and inserts like this were literally outside the box in an era where cards were fun, prior to a Topps monopoly seemingly imposed by the Dolores Umbridge of collecting. 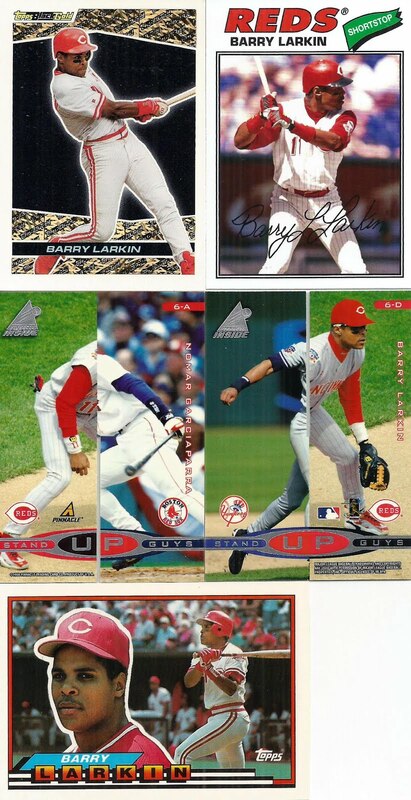 Anyway, Barry's in good company on these cards, too, joined by the likes of Nomar, Jeter, and A-Rod. Anytime I can add something like this to my collection it's a win, so bonus points to Paul here. 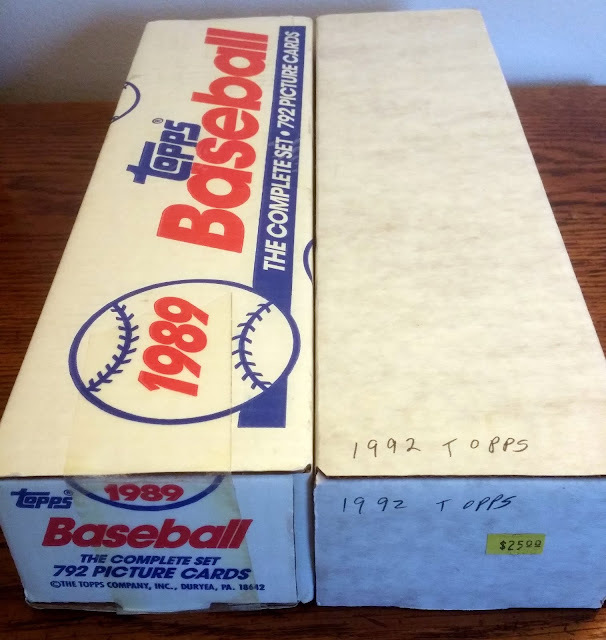 Here's one last trio of Michigan Baseball guys in my PC: Hal Morris ('89 Donruss), J.J. Putz (2011 Topps Diamond Anniversary) and Chris Sabo (1994 Score Rookie/Traded) rounded out a very nice bunch of cards I didn't know I was getting. But what I was prepared to haul home, thanks to Paul being nice enough to tote them to Detroit and then to Greektown from his parking spot, was this pair of sets: 1989 and '92 Topps. He'd grabbed them on the cheap at a show and I claimed them as I continue to try to fill out Topps' flagship products from 1983 (when I was born) to some endpoint, maybe 2010 since I don't care about the more recent versions. Thanks to Paul, plus arpsmith earlier this year, I'm one set away from that goal: 1990. While I try to track that down I'll do up posts for each of these sets similar to the ones I did for the four I grabbed from Adam back in January. Once again, a big thanks to Paul for bringing all of this great stuff, and to both Paul and John for a fun day at the ballpark. I'll see you guys there next year, and hopefully sooner too, maybe for a show! Highlight of my summer! A great day. I'm gonna have to agree with you there, and we're definitely gonna need to do this more than once next season! Attending a baseball game with fellow bloggers is definitely on my bucket list. I had an even better time than I expected, if that was even possible, so I highly recommend it!